Assisted Opening CSA Rebel Flag Knuckle Guard Folding Trench Knife | BUDK.com - Knives & Swords At The Lowest Prices! 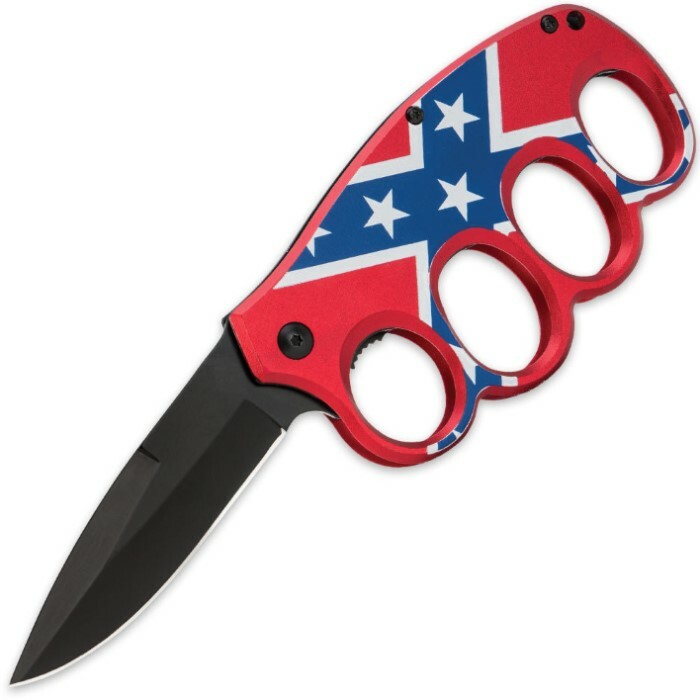 Rouse your inner rebel with this assisted-opening CSA Rebel Flag folding trench knife. It features a stainless steel drop point blade with an anodized black finish. The assisted-opening mechanism, powered by the built-in blade spur, provides fast one-handed opening. 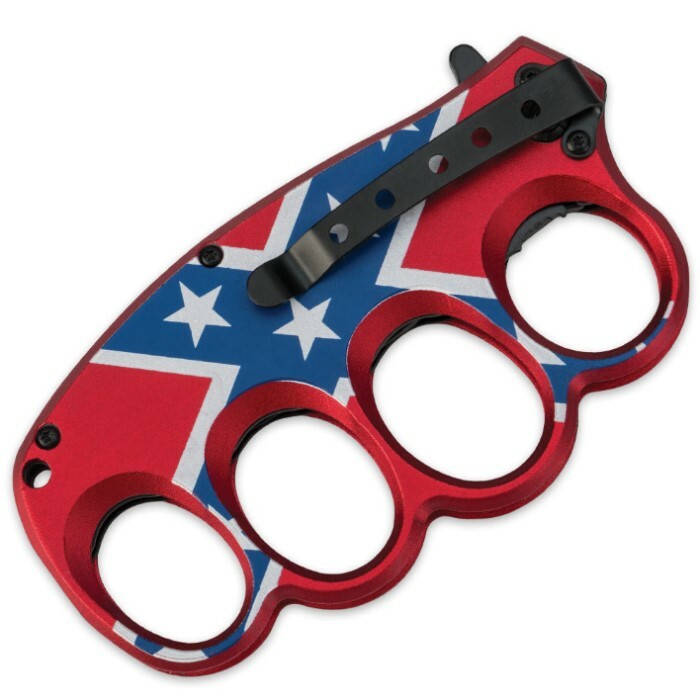 The aluminum knuckle guard handle has a CSA Rebel Flag design that will get you noticed. 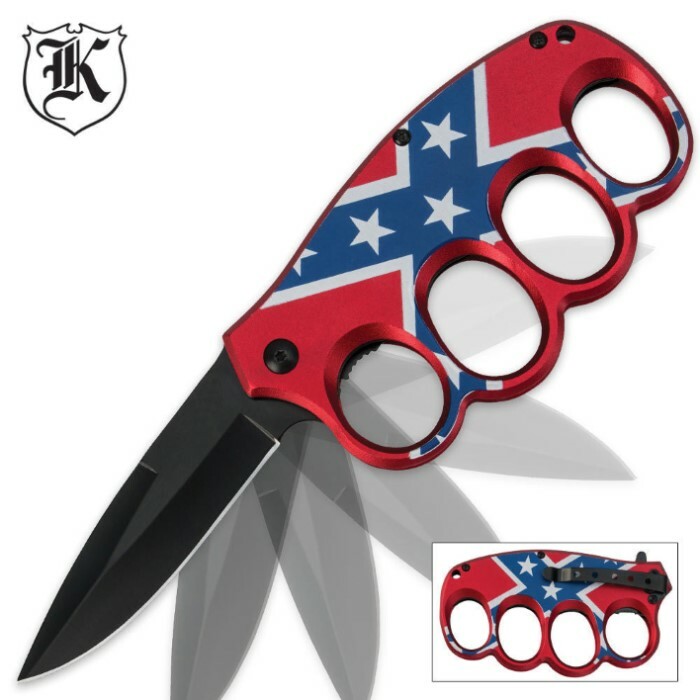 It comes complete with a pocket clip.